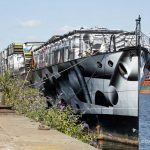 HISTORIC warship HMS President (1918) could be condemned to the scrap yard says the charity that maintains her after the ship lost out on lottery funding. 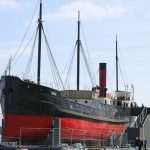 The ship was towed down the river to Chatham Docks on the Medway in February but needs funding to complete its hull refurbishment and pay for a new mooring adjacent to London Bridge. 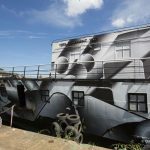 The HMS President Preservation Trust has revealed that the charity has lost out again on a bid for £330,000 from the Heritage Lottery Fund. 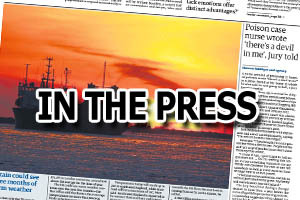 Gawain Cooper, Chairman of the HMS President Preservation Trust, commented: ''Our Trustees are bitterly disappointed that with all the public support we have, and after having been encouraged by a senior director of the Heritage Lottery to reapply for the £330,000, that again we were refused support. This decision will most likely condemn The President to the scrap yard." The ship was originally commissioned as HMS Saxifrage to find and destroy enemy U-boats. She's one of the few surviving Royal Navy ships from WWI and is listed on the National Historic Fleet register. 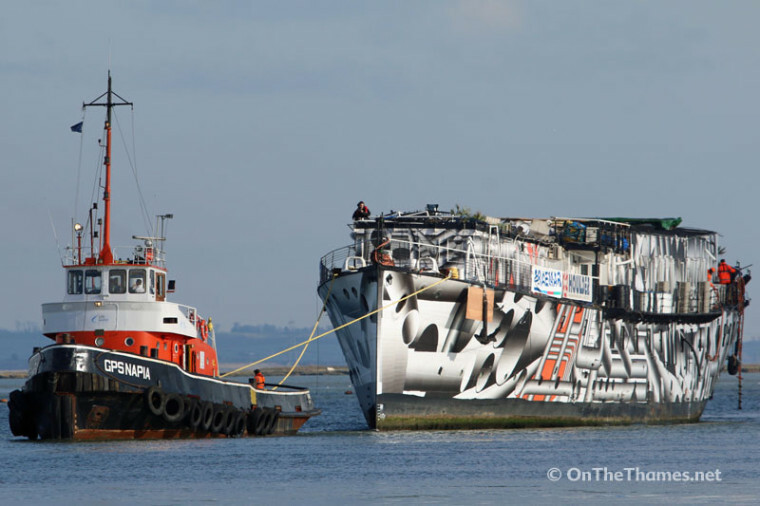 HMS President (1918) in dazzle ship livery was towed down to Chatham earlier this year. Dismayed at the news that HMS President may be scrapped. My father, Leslie Sidney Bowers trained on her. He enrolled in the RNVR in October 1934 . 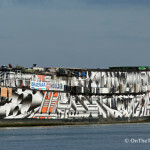 I do hope HMS President may still be saved. cannot agree more on this one, David ..
It’s shameful that this historic ship could well be lost to the nation. I normally visit London once a year and always take photographs of her as I walk along the Thames. I will really miss not seeing her when I visit London in September. Lets hope something can be done. What is the Heritage Lottery Fund for, if not for issues like this. 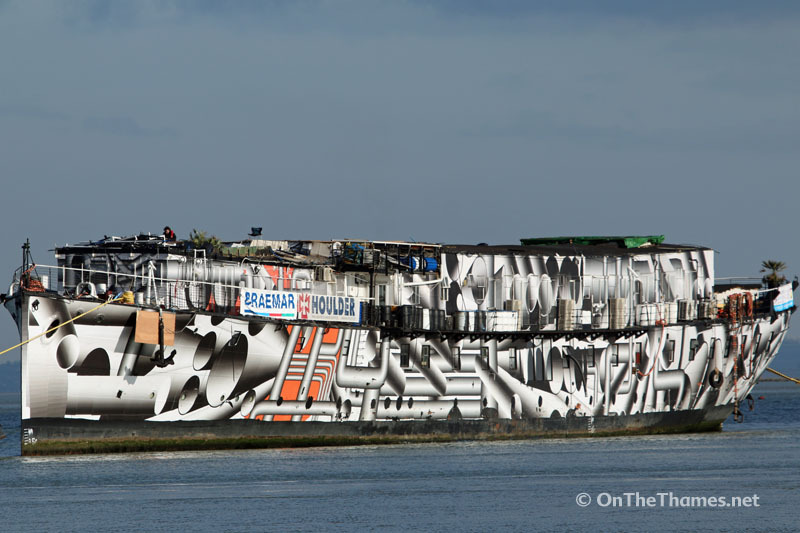 It’s another disgraceful neglect of an historic ship, a war hero potentially destined for the scrap yard, especially at this time of the centenary of WW1, and so recently ‘Dazzled’. 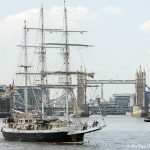 Wonder what happened to the money the ‘charity’ that runs the ship as a commercial enterprise was paid by Thames Water to move her from her moorings? Disgusting to blame the heritage fund! All of this is a sign of the times we live in. Very few chances of any young Brit going to sea even as a Deck Boy. Can’t even get Brit Seamen for Paddle Steamer Waverley. Seems President is going the same way as Flying Fox. We are no longer a major maritime Nation and live on an island. I started aged 10 riding on colliers and sand dredgers during school holidays. Total enjoyment. We got married on HMS President in September 2010, we had the most amazing day. My husband is a Waterman on the Thames and I was a volunteer for Tower Lifeboat so it was only right we got married on the river. We were the first people to get married on HMS President and assumed many more would. I was christened at St Brides (the Navy’s church, Fleet St) and had my christening party and a blessing on board HMS President afterwards in either 1963 or 1964. My father was a serving officer on board her prior to and at the time of my birth and for many years afterwards probably until 1974/5. I do so hope that she is not scrapped as I have found memories of visiting her, playing on her and her sister ship HMS Crysanthemum laying up infront. To me … both ladies are part of my family and heritage. This ship is iconic and should be saved for its place in the history of this country. This iconic ship should be saved. So i could join (i was not a communist just a job) i resigned the next day , and then joined the RNVR , this led me too the RN . RNR as a cadet training officer for many years. It’s hit the headlines today, and the govenment are taking another look at the funding required to save the President. The £330,000 grant a is a drop in the ocean in today’s climate and it’s disgusting that the plug has been pulled, fingers crossed that common sense prevails and the ship gets its grant. 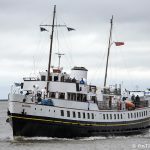 Very sad about the President.I have fond memories of attending childrens Christmas parties on board during the 1950’s. My uncle CPO Bill Watts was based there and was responsible for training in the RNVR. My mother Vi Dalgleish worked on board in the wardroom for many years from the 1950’s to the 1970’s.